NEW CUMBERLAND — The public is invited to celebrate the life of a pet during a special service planned for Saturday at the Nessly Chapel, located on state Route 2 in New Cumberland. TORONTO — President Barbara Pritts welcomed members and guests to the Dec. 1 meeting of the Toronto Sunrise Seniors, which was held at the Karaffa Elementary School commons area. Guests included Mayor John Parker and his wife, Tracey; Cheryl Clarke; and Jeff Foster. The tables were adorned with Amaryllis plants and miniature Norfolk pine trees. Connie’s Corner from Chester provided the catered meal. Chaplain Mary Edwards gave the invocation. Following the meal, everyone participated in Christmas games. Door prizes were awarded to all members, and the table decorations also were awarded. The Christmas party committee, comprised of Ruth White, Susan Kulstad, Nancy Bodrog, Gloria Howard and Helen Lindsay, were thanked for their efforts. Laura Sheets was thanked for the handmade ornaments given to each family represented. Bob Deku and John Lash were given a special award for their efforts in running the bingo games. The evening concluded with several rounds of bingo. The next meeting will be held Jan. 11 at the Roosevelt Center. The January kitchen committee includes Susan and Bill Kulstad, John Lash, Henry and Laura Sheets and Janet Petrella. 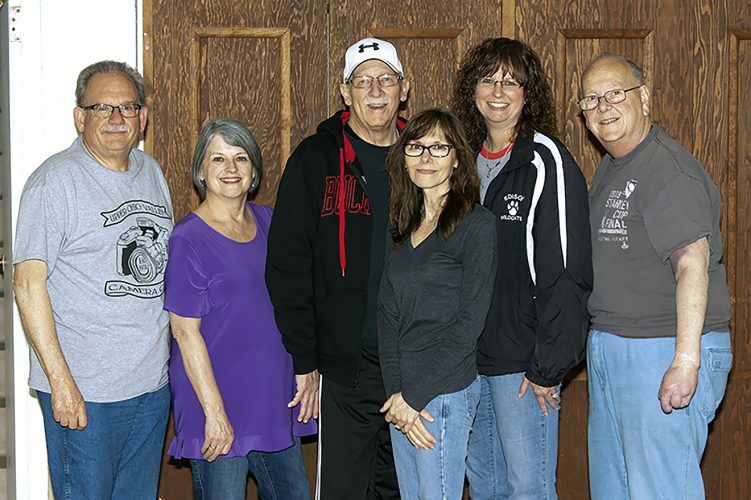 COLLIERS — Country Friends will host Neon Knights on Friday and the Sands of Time on Saturday at the Memorial Hall located at 67 Police Lodge Road, Colliers. STEUBENVILLE — The GFWC/Jefferson County Women’s Club will sponsor a booth at the holiday vendor show at the Fort Steuben Mall from noon to 6 p.m. Saturday and Sunday. The club will sell stocking stuffers such as “Elf Kisses, Popcorn Snowmen and Reindeer Hot Chocolate,” according to Mary Lou Jones, club president. Proceeds will benefit the club’s community service projects. NEW CUMBERLAND — President Tom Stiles presided when the New Cumberland Lions Club met Nov. 27. Don Greathouse offered the prayer, and Don Deemer led the pledge of allegiance. Correspondence was received from the Lions International presenting the New Cumberland Lions Club with a patch to add to the club’s banner indicating growth in membership for the 2017-18 year. Dorothy Hawkes is heading the Christmas party committee. There will be a gift exchange with members purchasing an item that costs between $1 and $3. No names will be attached. Members were urged to “dress festively” with “ugly sweaters” welcomed. The event will include games. Stiles asked for ideas for the Christmas parade. Bob Manypenny will work on a truck for the parade so that someone may wear the lion outfit and ride in the back. The zone meeting was to be held at the Wick’s Riverside Grill in New Cumberland. Betsy Wells noted that voting on the decorated trees at the Swaney Memorial Library gets under way Dec. 1. Jim Wells reported on the upcoming Breakfast with Santa sponsored by the library and held at the New Cumberland VFW. The club voted to donate $150 to the breakfast so it will be free to any child attending. He also noted that the club made a $500 donation to the local food bank this month. WELLSBURG –The Wellsburg Moose Lodge will be hosting a children’s Christmas party from 2 p.m. to 4 p.m. on Dec. 16. 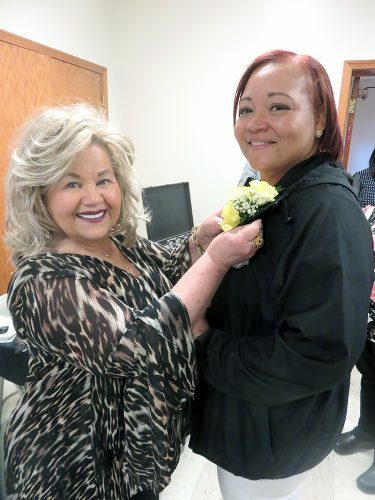 “Everyone is welcome,” said Linda Porreca, a member of the Wellsburg Women of the Moose. Porreca’s daughters, Lois Bellflowers and Christine Zeigler, will have their service dogs in attendance dressed in reindeer attire, and Mr. and Mrs. Santa Claus will be there along with the elves. Food will be provided for the children, followed by a story and song from the elves and a photo session with Santa. Porreca said the children also will receive a stocking full of goodies at the end of the party.